Before he became a respected Congressman, John Lewis was clubbed, gassed, arrested over 40 times, and nearly killed by angry mobs and state police, all while nonviolently protesting racial discrimination. He marched side-by-side with Martin Luther King as the youngest leader of the Civil Rights Movement that would change a nation forever. 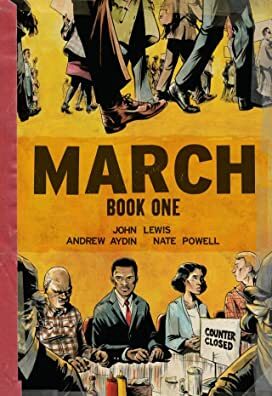 Now, experience John Lewis' incredible story first-hand, brought to life in a stunning graphic novel trilogy. 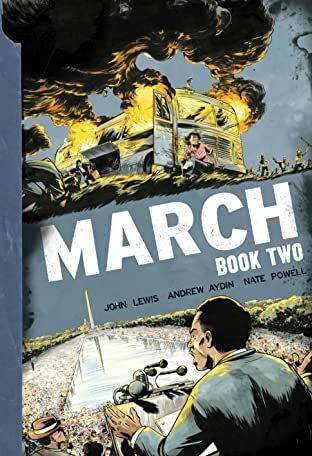 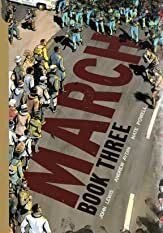 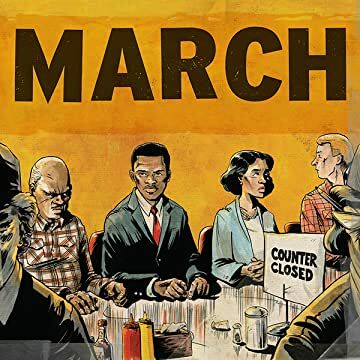 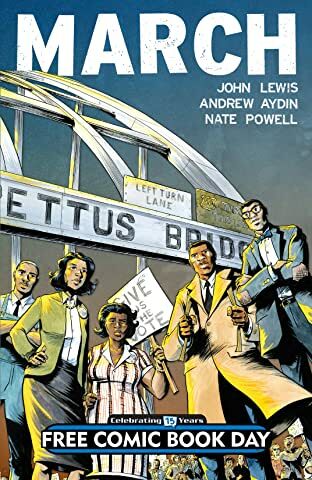 With co-writer Andrew Aydin and Eisner Award-winning artist Nate Powell, John Lewis' MARCH tells the story of how a poor sharecropper's son helped transform America, from a segregated schoolhouse to the 1963 March on Washington and beyond.